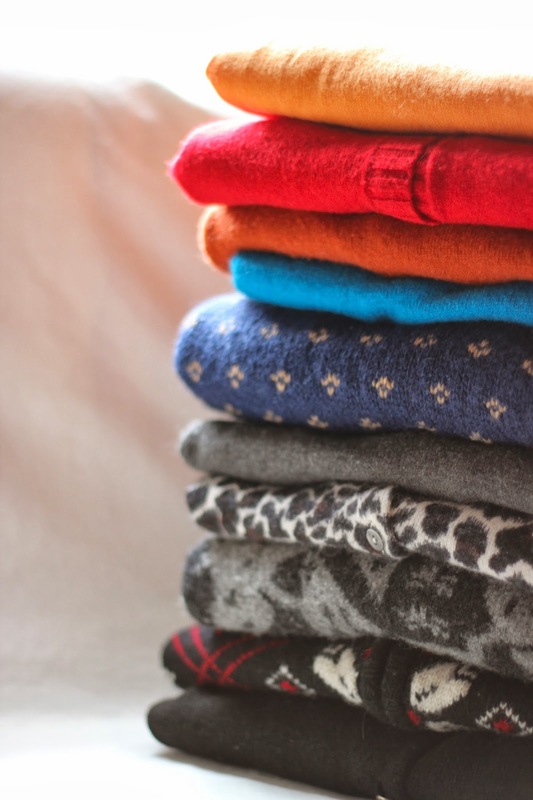 Recently, I inherited a new crop of sweaters from my grandmother on my mom's side, Granny. She has a huge collection, including cashmere in every color of the rainbow and to-die-for Ralph Lauren gems. I wore one of those treasured Ralph Lauren sweaters for #bettersweaterer and on The Daily South. I attribute Granny's love affair with sweaters to her childhood, growing up in the NC mountains during the Depression. Her family's source of heat was a stove, and they had no running water. For my generation, it's unimaginable. These sweaters are certainly helping me through this unusually cold winter. February is one of my favorite months, despite how much I hate cold. Valentine's Day is my favorite holiday to decorate for, and my birthday is just a few days after that. It kind of feels like everyone decorates for my birthday each year :) Plus, college baseball season begins in February. Oftentimes, the Heels' home opener happens at the perfect time for celebrating my birthday. This month, February = Sweaterary. I'll do my best to post a sweater here every day in February. When I first got the idea for this challenge, I prayed about it and shared it with a few family members and friends. They all encouraged me, and when I counted how many sweaters I had inherited over the years from Granny, they totaled 28. So here we go. 28 days. 28 sweaters. Follow along with me as I take on this blogging challenge here and on Instagram. Anything in particular you would like to see?